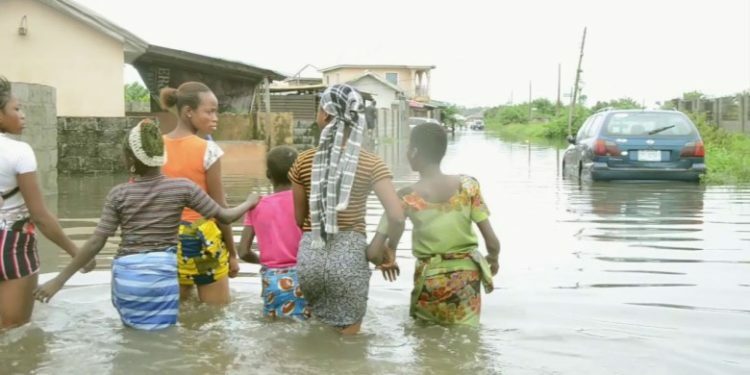 Some residents in Ibeju-Lekki axis of Lagos state on Saturday decried their loss of valuables worth millions of Naira due to the flood from persistent rainfall in the state. The residents who were interviewed by the News Agency of Nigeria (NAN) also blamed the poor drainage facilities in the community. According to some residents, the early morning downpour left several roads and homes in the area flooded. Mr. Balogun mentioned some of the areas affected by the flood included Kajola, Majek first-gate area, Lakowe, Eleko, Oribanwa and Awoyaya, among several others. The flood also affected commercial businesses in the community, including the hospitality sector. Bakare added that the journey from the Ajah axis to Epe/Ibeju -Lekki which ought to be about 45 minutes now lasts about an hour-and-a-half. Mr Lanre Solution, another resident of Ibeju-Lekki called on a the Lagos State government to help fix the Lekki/Epe expressway, which he said, was the major road linking Ibeju/Lekki to Epe. Acxording to him, adequate maintenance of the road would enhance business activities in the area. Mrs Bola Fadahunsi, another resident, lamented that the bad roads and flooding is a leading cause to the damage of their vehicles, costing them much more money to maintain.